Well, here it is.. 100 Panics in 100 days, it’s been a blast and Im looking forward to another 265 images in 265 days! 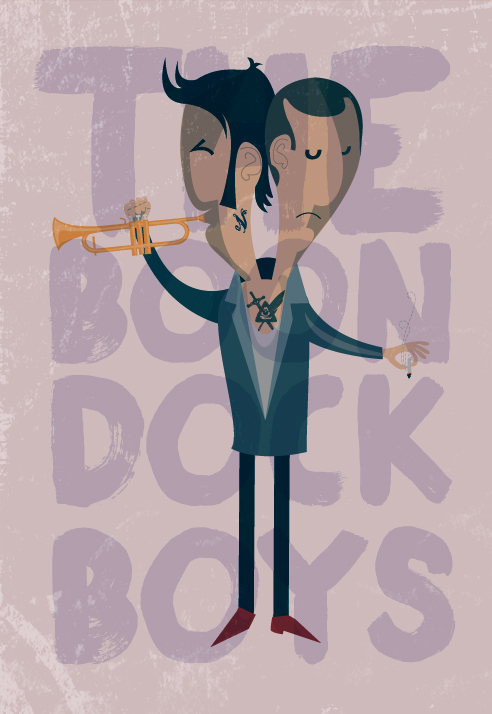 Today’s image is a continuation of the Jazz Freaks Series with the Boondock Boys, one body, two heads! Nate Boondock on the left is a virtuoso jazz trumpet player and Jackie Boondock on the right is a famous beat poet but equally handy on the horn.